Home » Vegas Beauty Blog » Will Breast Implants Give Me ALCL Cancer? Ever since the FDA officially declared a link between breast implants and a type of lymphoma called “Anaplastic Large Cell Lymphoma,” the internet has been aflutter with alarming headlines and confusing information about the risks breast implants may pose to patients. As expected, we receive questions about ALCL from our patients, who are naturally concerned about what they read and want to know the actual risks involved. 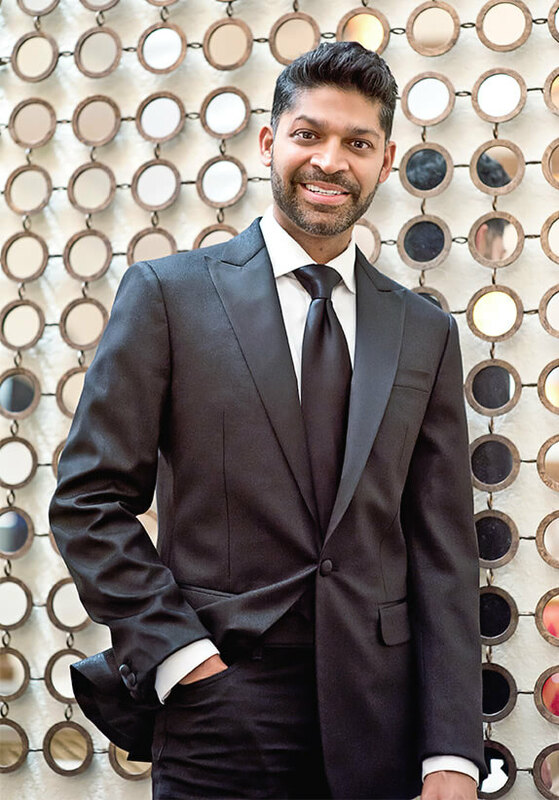 Safety is the highest priority for our patients, and I believe it is important to be transparent about the ALCL issue, including what we know about the risks, causes, and treatments for this rare disease. I often discuss the issue at length with my patients and want to share some essential information with you now. What is my risk of getting ALCL if I have breast implants? Should I have textured breast implants removed? What can I do to minimize my risk of ALCL? Anaplastic Large Cell Lymphoma (ALCL) is a type of lymphoma, or cancer of the immune system. While there are many types of ALCL, Breast Implant Associated ALCL (BIA-ALCL) specifically develops within breast implant capsules, the normal scar tissue that surrounds breast implants. It’s important to understand that BIA-ALCL is not a type of breast cancer and the vast majority of BIA-ALCL cases are fully treatable by removing the breast implants, along with the surrounding breast implant capsule. It is important to note that 660 medical device reports (MDR) does not equate to 660 cases of BIA-ALCL. This is because some patients have been found to have multiple reports. Additionally, while it is mandatory for manufacturers to report issues with medical devices, it is voluntary for consumers and physicians. As such, we don’t have an accurate association between patients and MDRs. Let me explain. Say a patient is having breast pain or swelling, and suspects ALCL. That patient could have multiple MDRs since she, her primary care doctor, the pathologist screening for ALCL, and the cosmetic surgeon removing her breast implants all could be reporting to the FDA. Through investigation, the FDA estimates 457 unique cases of BIA-ALCL—though this number may not be entirely accurate. What we do know is the total number of deaths from BIA-ALCL: 9 were reported during this time period, all in patients who had a late diagnosis. Breast implant associated ALCL only occurs in patients with breast implants, but this does not mean that all breast implants cause ALCL. What it does mean is that there is something going on either with certain types of implants or with certain patients that provides a favorable environment for BIA-ALCL to develop. So far, studies about the cause of BIA-ALCL have been small and inconclusive, but there are two prevailing theories based on the data reported to the FDA as well as study outcomes. 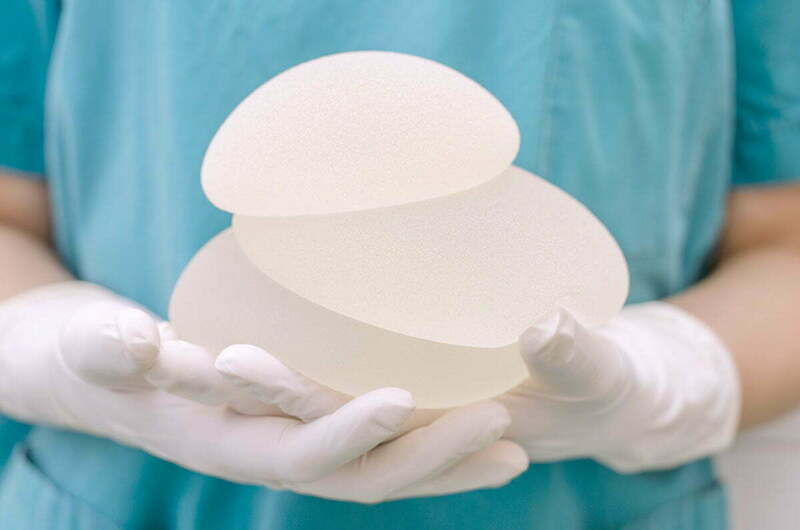 As of their previous reports, the FDA shared that 272 included information about breast implant surface. Of these, 242 were textured implants, and 30 were smooth. Importantly, almost all BIA-ALCL patients who had smooth implants at the time of diagnosis had textured implants at some point in their life. The FDA points to a number of clinical studies that implicate textured implants as a risk factor, and both U.S. studies and reviews of international data all associate textured implants with an increased risk for BIA-ALCL. There’s more to the story worth noting. Textured implants have been used worldwide for decades, and we have only heard about BIA-ALCL in the last 8 years or so (after shaped gummy bear implants came out in the U.S.), with the vast majority of cases occurring in the US and Australia. There also seems to be an association between the proprietary methods used to texturize the implant shell. The disease seems to occur more with certain textured implant types, specifically those with the roughest surface that were made using the salt loss texturing process. All this to say, from the published studies we have, it seems reasonable to conclude that textured implants, as well as their manufacturing process, have something to do with ALCL. This second theory raises questions. First, this theory was presented after data was published indicating a link between proprietary texturing methods² and ALCL. Second, if R. pickettii is the primary cause of ALCL, why do we almost exclusively see the disease in patients who have had textured implants? The given thought is that there is a greater surface area for the bacteria to reside. But why are the majority found in one type of texturizing process? Both have texturing, but as this study illustrates, one in particular is “deeper” with more surface area. How much depth in surface area is too much? Or is it, as it seems more likely, the texturizing process itself? Additionally, R. pickettii is present in millions of women who never develop ALCL. Further, BIA-ALCL is found in women who do not have a significant amount of R. pickettii. At most, it would seem that there may be something about the combination of bacteria and certain textured implants that elevates ALCL risk. Other potential causes of BIA-ALCL that researchers suspect are genetic predisposition as well as a history of capsular contracture (which is also associated with inflammation and/or infection of the breast capsule). The short answer is that your risk is very low. Based on the studies and evidence we have, your risk of developing ALCL is higher if you have textured implants or have had them in the past, but it is still not high. Even this risk is thought to be between 1 in 3817 and 1 in 30,000 (or ranging from 0.003% 0.0262%) over a lifetime. In most cases, BIA-ALCL can be completely treated by removing the breast implants and surrounding capsule. In rare cases, further treatments including radiation and chemotherapy have been necessary. To date, only 9 deaths have been linked to BIA-ALCL; these patients received late diagnoses. This study offers a recent breakdown of the long-term prognosis of BIA-ALCL based on how the disease has progressed. BIA-ALCL typically presents with physical symptoms, usually breast pain, swelling, and/or fluid around the implant. These are also other signs such as a seroma (excessive fluid buildup) and capsular contracture. In any case, if you experience any of these symptoms, you should see your doctor. When caught in earlier stages, BIA-ALCL is very treatable. If you are not experiencing any symptoms of ALCL or any other problems with your breast implants, the FDA says there is no need to replace them until you are ready to for aesthetic or personal reasons. Remember, undergoing surgery carries risks too. It is better to simply understand how to recognize the symptoms of this rare disease and promptly check in with your doctor if you experience breast pain or swelling—or anytime concerns arise. Based on published data, the surest way to reduce ALCL risk is to choose smooth implants. Although an aesthetic benefit can be provided in a small subset of patients with shaped textured implants, for most patients, given an experienced cosmetic surgeon very natural-looking results can often be obtained with smooth, round implants placed under the muscle. This is my preferred approach for my own breast augmentation patients. Textured implants still have their place for some patients. If you have very little breast tissue, or if over-the-muscle placement will help you avoid a breast lift, round implants can look fake, almost like a ball under the breast. In these cases, I believe the benefits of textured, teardrop shaped implants present when the patient understands and chooses not to undergo a breast lift as an option instead. When a patient and I agree textured implants will best serve their needs, I exclusively use styles that published data has shown to present the lowest risk. Breast augmentation is not a “get it and forget it” experience. To ensure you remain healthy and happy with your results for years to come, stay in touch with your cosmetic surgeon. As long as everything is going well, scheduling a routine visit every few years should suffice. If you have a concern about your breasts, schedule an appointment ASAP. It’s far better to discuss concerns with your surgeon and rule out any issues than to wait in worry. Whether you are a previous patient of mine, or you have concerns about breast augmentation performed by another surgeon, I welcome you to contact my office to set up a time to talk. Call 702-363-0240 or contact us online to request an appointment. Article updated with new FDA report numbers on February 12, 2019. ¹ Interestingly, shortly after this study a particular breast implant manufacturer asked the FDA to reverse its stance on the use of an antibiotic solution called Betadine (determined to kill R. pickettii) during breast augmentation. Once standard protocol, the FDA discouraged use of Betadine in 2000 over concerns that it might degrade the implant shell. The FDA obliged with this request. ²See Calobrace, M. Bradley, et. al., “Long-Term Safety of Textured Breast Implants,” Aesthetic Surgery Journal, 2018, Vol 38(1) 44, Figure 3. This 20-year review of long-term safety data illustrates a clear and strong association with Allergan breast implants and ALCL among medical device reports in the FDA MAUDE Database which was identified as early as 2015, more than a year before the 26-patient biofilm study was published. Specifically, 70.3% of unique cases of BIA-ALCL in the MAUDE database as of September 10, 2015 were associated with Allergan devices, which use a proprietary salt-loss texturing process.